Google, Facebook, Walmart and other corporate giants have launched a new trade association with hundreds of members aimed at greatly expanding direct renewable power purchases by companies large and small. 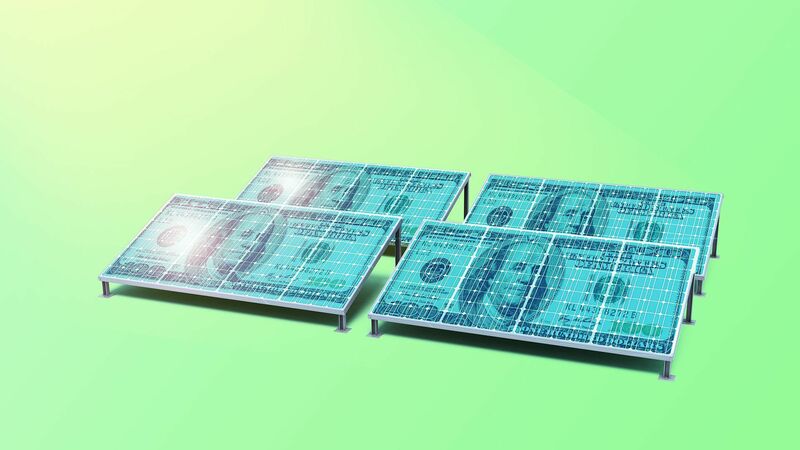 Why it matters: The Renewable Energy Buyers Alliance is a sign of both the mainstreaming of corporate procurement and a recognition that companies face market barriers, even as wind and solar costs have fallen. Other companies involved include General Motors, Johnson & Johnson, First Solar, Salesforce, and Citi. Overall, hundreds of companies — spanning energy buyers, renewable power developers and service companies — are taking part, the announcement states. The big picture: The group hopes to collectively bring more than 60 gigawatts of new renewable capacity online by 2025. That's a lot! As CNBC's Tom DiChristopher points out, that's nearly equal to the total amount of U.S. solar photovoltaic capacity of 64 GW at the end of 2018. Last year saw roughly 6.5 GW added via new corporate renewables deals, according to the nonprofit Rocky Mountain Institute (RMI). How it works: The group will provide members with technical assistance, education, data and more to help navigate the complexities of renewables procurement. But at the same time, they hope to push for ways to remove friction from the market, not just help companies overcome it. "The barrier to growth is access, not cost, and that needs to change," Michael Terrell, Google's head of energy market strategy, tells Axios. The group will have the ability to lobby at the state and federal level, but has not yet unveiled its policy agenda. Where it stands: A bunch of companies including Big Tech have been scaling up renewables procurement in recent years. The new effort is aimed at making it a far wider corporate practice, in part by helping the big companies that have been at the forefront of renewables procurement share their expertise. Between the lines: Terrell says every company — whether a bakery or a big box retailer — "should have a direct and easy path to buying clean energy." He calls it part of tackling climate change. “We need to be giving every buyer who wants to be clean the opportunity to do that,” Terrell adds. Flashback: The group has its origins in a partnership developed between RMI, World Wildlife Fund, World Resources Institute, and Business for Social Responsibility several years ago. "The new REBA will be a larger, better-resourced organization than when it was simply a collection of separate programs," RMI spokesperson Nick Steel said in an email.